Q: Apple Music App on FireTV Stick? i was wondering if anyone knows if there is a possibility to use apple music on the amazon firetv stick? Do you have the same problem? Have you ever thought to play Apple Music tracks on Amazon Fire TV? If you are seeking for possible solution for it, you've come to the right place. Reasons Why Can't Stream Apple Music to Amazon Fire TV? 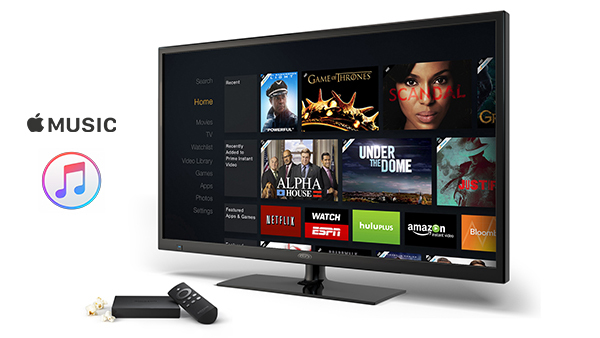 Amazon Fire TV is a streaming media player and its micro console remote developed by Amazon. It comes in three models: Amazon Fire TV, which is a small box with an attached HDMI cable; the Fire TV Stick, which plugs directly into your TV; and the Fire TV Cube that connects with a separate HDMI cable. The Fire TV is very tightly integrated with Amazon Music and Audible services. And there are tons of other content providers that you can listen to through it including Pandora, Spotify, iHeart Radio, and Sirius XM, and more. But it does not have apps for Apple Music. As a matter of fact, you are only allowed to play Apple Music tracks on Apple approved devices with Music app or iTunes. What's more, Apple uses Fairplay DRM restriction to control the use of its media content by customers. Therefore, if you would like to stream Apple Music to other devices like Amazon Fire TV, the most important key is to remove DRM protection from Apple Music songs. 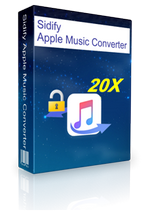 Here, we highly recommend Sidify Apple Music Converter which can meet all requirements. It is a powerful yet easy-to-use Apple Music DRM removal program for Mac and Windows users. 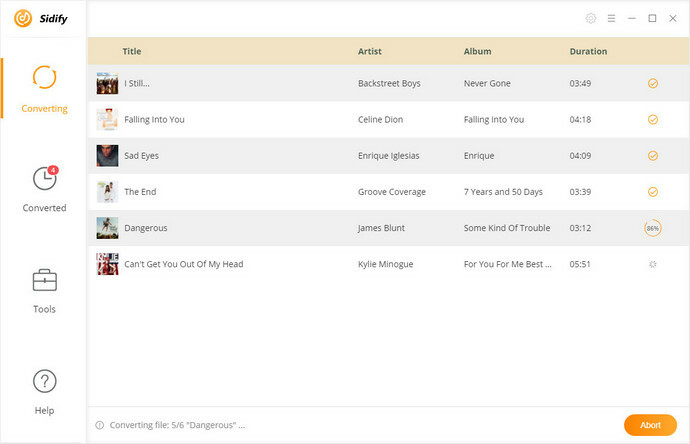 With it, you can not only get rid of DRM from Apple Music songs, but also can convert them to unprotected audio formats such as MP3, AAC, WAV and FLAC with the original ID tags preserved. Transfer Apple Music to Amazon Fire TV, Google Chromebook, Xbox One, PS4, iPod Nano, etc. 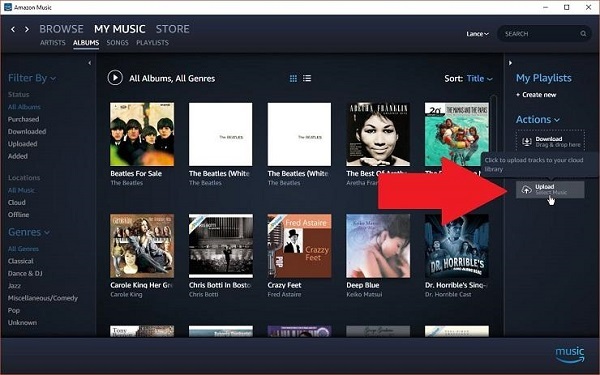 In the following tutorial, we will guide you the simple steps to help you bypass DRM and convert protected Apple Music songs to Amazon Fire TV easily. 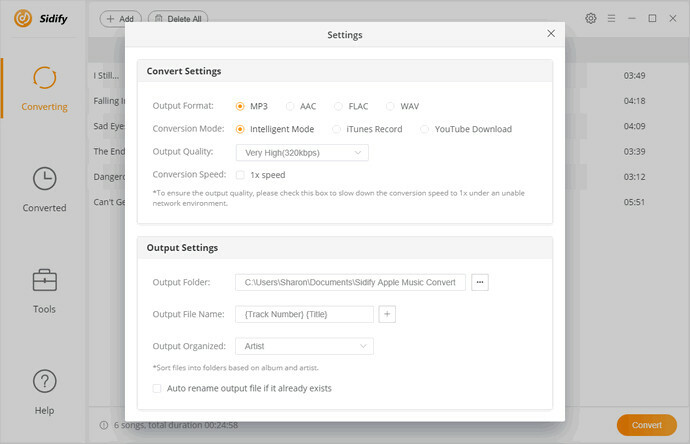 Before started, you need to download Sidify Apple Music Converter on the computer. 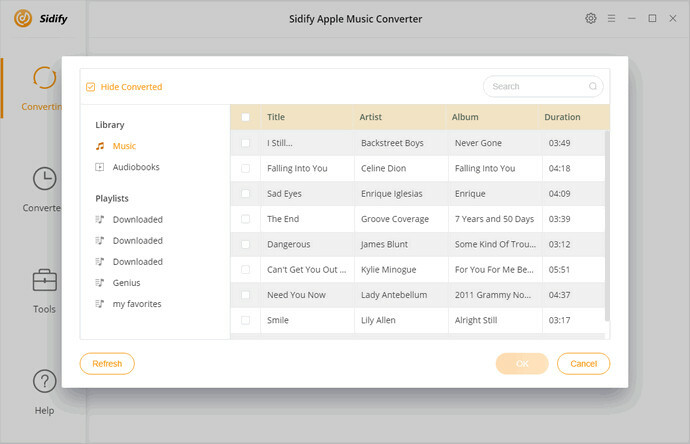 Install and launch Sidify Apple Music Converter, click + button to import the downloaded Apple Music songs from the iTunes library pop-up window, hit OK.
Once the Apple Music songs are imported to Sidify, you can choose the output format by clicking setting option. The currently available output formats are MP3, AAC, WAV and FLAC. MP3 is recommended as it is one of the most useful audio formats. Besides, you can also select output quality and output path based on your needs. When all the settings are adjusted, you can start to remove DRM from Apple Music songs and convert them to common formats by clicking Convert button. After the conversion, you can find the converted Apple Music songs on the history folder. Now you can stream DRM-free Apple Music songs to Amazon Fire TV with the following two methods. Through USB port: If your Amazon Fire TV supports microSD cards or USB flash drives, you can copy the converted Apple Music songs to the external hard drives, and then insert them to the Fire TV. And then you can use the supported third-party apps to access these Apple Music tracks for playback. Upload to Amazon Music: For users with a paid Amazon Music Storage subscription, you can add the converted Apple Music files to My Music with Amazon Music app for PC and Mac.